Snapped this photo on November 8 in Shoreditch, London, while nervously anticipating the results of the election in the USA. This porcupine’s expression summarized it all. 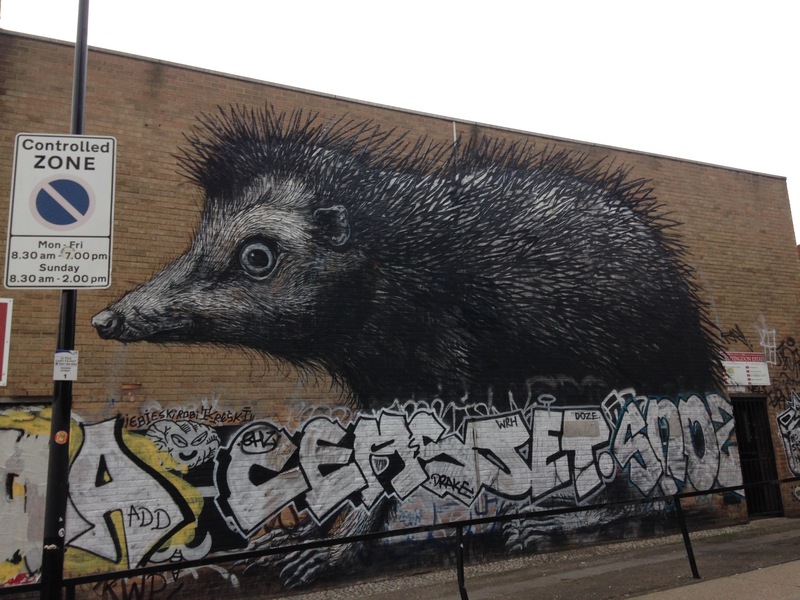 Earlier images on the Internet indicate that this little guy once had feet, since covered by other artists’ tags.